Traditionally, banking and financial sector is the frontrunner to deploy the best-of-the-breed technologies. But the pile of data which keeps flowing from all channels poses a great challenge to players in this sector. Most of the organizations are not able to make use of the data for business growth and better insights for decision making. But organizations can no longer afford to ignore the importance of data coming from different departments, transactions, and channels. The ever-rising expectations of today’s tech-savvy customers are compelling the companies to actively embrace new technologies so as to provide world-class services to their customers. 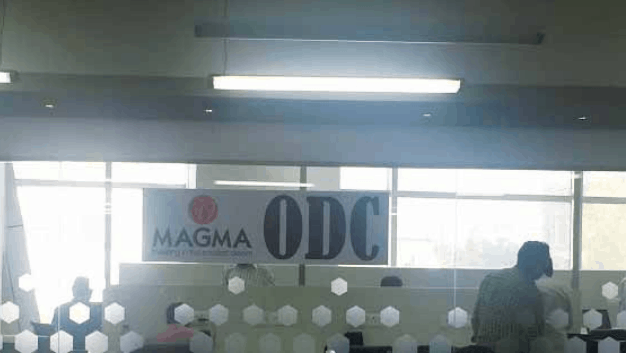 Walking on similar mantra is Magma Fincorp, a Kolkata-based non-banking financial company with 10,000 employees and more than 250 branches all over India. Like any other lending and insurance company, Magma too is sailing in huge data ocean wherein it becomes difficult for them to capture important customer information while targeting for a finite pool of customer. Therefore, Magma was looking for a partner that can help them analyze their data on a regular basis. Magma wanted to use analytics to make use of the data for business growth and informed decision making. Founded in 1987 by Ranjan Chopra, Team Computers views itself as a bridge between the world of business needs, and the world of affordable and high quality IT solutions. With 25 offices and 266 support locations across India and 1,200+ team members on-board nation wide, over 800 multi-skilled engineers across locations, they have 2,000+ active happy customers nationwide. 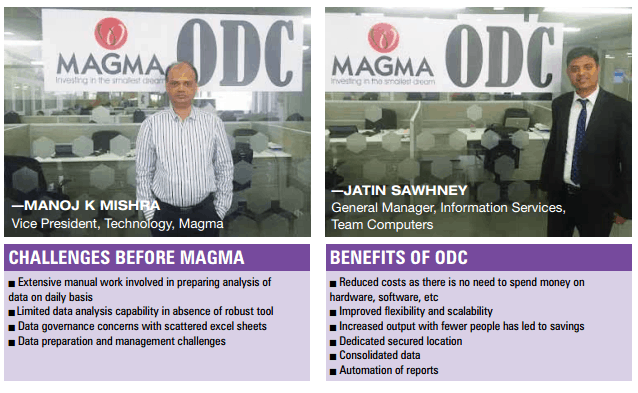 To conclude, Magma was looking for a platform which can help them in data preparation and delivering intelligence and Team Computers was the best choice. After the implementation, Magma is able to save a lot on travelling, accommodation, admin expenses, over head expenses, operational costs, etc. Further, the deployment has enabled the firm to streamline processes and monitor projects more effectively. Team Computers Sets Up Dedicated Offshore Delivery Center for Analytics 0 out of 5 based on 0 ratings. 0 user reviews.